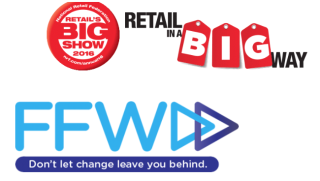 The National Retail Federation, the world’s largest retail trade association, noted that retail is making big steps toward in-store digital media during their conference and trade show held in New York, Jan. 2016. The turn to in-store digital media is a product of declining retail visits and need to further engage with consumers. Since 2010, retail visits have declined by 64% to just 13 billion visits in 2015. 24% of retail revenue from the past year shifted to Amazon. Retailers are faced with the need to meet rapidly-changing consumer behavior to make their location relevant and a destination for consumers. The National Retail Federation is not the only organization to notice the change. Canada’s Ad Week (FFWD) also acknowledged the pivot toward in-store digital media. Communication agencies in Canada are already leaning forward with new approaches to analytics, messaging content and digital media application. Planning, trials, analytics and content are changing. As retail moves forward, digital signage is becoming an investment priority, as both the National Retail Federation and Canada’s Ad Week (FFWD) have confirmed. Event summaries and more information is available here.